“I was always motivated to solve big problems” says Samir Ibrahim, CEO and co-founder of SunCulture, a provider of irrigation solutions for smallholder farmers in Kenya. I spoke with Samir on a recent trip to Nairobi, and he explained to me why he is on a mission to improve farmer productivity in Africa. SunCulture’s solution is to provide irrigation systems at a price point that the average small farmer can afford. 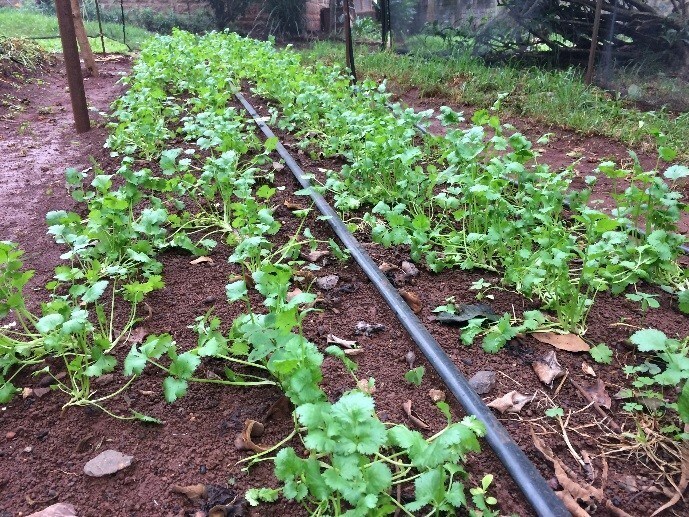 With irrigation, farmers can have up to 3 growing seasons per year and produce more water-intensive, higher-value crops, which can be sold during the off-season at a better price. The company started in 2013, selling solar-powered drip irrigation systems that were cheaper than diesel-powered alternatives and better suited to farmers living off the electricity grid. Priced at $5,000, the systems were half the cost of available alternatives, but still well beyond the means of an average farmer earning a few dollars a day. So the company pivoted last year to a cheaper system, “The Rainmaker,” which uses solar-powered pumps and sprinklers instead of drip irrigation. It is a simple, off-the-shelf product that is easier to transport and install, and with a $500 price tag, it is the lowest cost irrigation system on the market. The potential impact of low-cost irrigation is huge. Three-quarters of the world’s poor are smallholder farmers. Moving them from subsistence to commercial farming is key to solving problems of global poverty and food security. Samir describes a typical customer, “Nancy,” who lives on a 1 acre plot that is rainwater-fed. She lives off the utility grid and used to spend 17 hours per week fetching water from her well, until she purchased a Rainmaker system on credit. She diversified her crops and increased her yields. Eight months later, she repaid her loan, made a down payment on a drip irrigation system and had an extra $1,500 in cash. By providing farmers with low-cost irrigation, access to financing and advice on modern farming techniques, SunCulture aims to be a “one-stop-shop” for farmers like Nancy to be more productive and generate higher incomes. SunCulture has already reached thousands of customers, but the potential market is in the millions. Samir says the Rainmaker has brought the company to an inflection point. “We sold more products since launching the Rainmaker in October than we’ve sold in all previous years combined.” The bump in sales means the pivot to a low-cost product is paying off and has put the early-stage company on a profitable trajectory. Samir tells me the keys to scale will be customer financing, which they are providing on a pilot basis, and working with like-minded companies with developed distribution networks in the off-grid solar energy space. These companies are helping SunCulture to expand into Uganda, Zambia and the Ivory Coast where the growth potential is huge: less than 6% of African farms are irrigated. SunCulture sees the farm as a laboratory for understanding their customers’ needs. With a vision of becoming more of an “Ag-tech” company, the next generation product under development will use data from soil sensors, weather stations as well as product usage to provide farmers useful advice on everything from when to irrigate to how to maintain the product. Changing farmer behavior is the key to adoption, but it is often a high-touch, high-cost effort. SunCulture hopes technology can provide more of this high-touch experience to farmers digitally, at a lower cost. While Samir says big problems motivate him, leaving his job at PwC in New York to start SunCulture seemed like a huge gamble. Why risk it? “I have a strong emotional attachment to the region,” he says. His family comes from East Africa, and they immigrated to America with very little money. “My parents always taught me a sense of responsibility to help others, because growing up in America meant I had opportunities that others didn’t.” He realizes how fortunate he is and has decided to share that good fortune with others. Scaling a successful business in Africa is a challenge. Samir’s motivation may hold the key to his success.